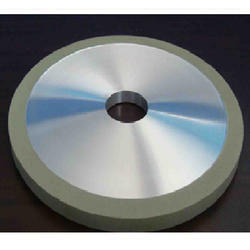 Diamond Grinding Wheel :- We are one of leading manufacturing company providing this product to our patrons. Diamond and CBN wheels grit size from D/B46(mesh size 325/400) to D/B426. Diamond Internal Grinding Wheels are suited for non ferrous materials such as Tungsten Carbide, Ceramics, Sapphire, Glass, Stones, Fibre Reinforced Plastics etc. Product Description:Diamond Grinding & Cut off Wheels of various sizes and various types for grinding of different materials . Largest distributor for the Greencorps Wheel , the only wheel used in the stainless steel market . Backed by rich industry experience, we are engaged in offering an excellent range of Abrasive Diamond Grinding Wheel. Corrosion-resistance, high performance, low power consumption and flawless functioning are some of the salient feature of our products. Our products are manufactured by making use of excellent quality raw material and modern facility at our manufacturing unit. Owing to our in-depth knowledge in this domain, we are specialized in providing Diamond Grinding Wheel. 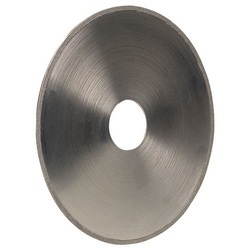 Our company is highly esteemed in offering Diamond ID Grinding Wheel to the client.